Invisible UV inorganic powder also called as UV long wave of fluorescent powder, black light powder or UV security powder. 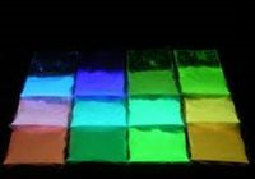 These powders can emit various visible colors under black light lamp 365nm wave length. There are a lot of applications for anti-counterfeiting: trademark of bank notes, invoices, cigarette packaging etc. The invisible UV inorganic powder has the main advantage of high luminosity under black light and has high heat resistance. The main application for anti-counterfeiting UV ink is for use in various printing products. 1: UV inorganic red powder, long wave type, the emitting wave is 615nm, the particle size is 3-6um. The day appearance is little red color. 2: UV inorganic Orange powder, long wave type, the emitting wave is 590nm, the particle size 3-6um. The day appearance is little white color. 3: UV inorganic purple powder, long wave type, the emitting wave is 420nm, the particle size is 3-6um. The day appearance is white color. 4: UV inorganic white powder, long wave type, emitting wave is 510nm, the particle size is 4-7um. The day appearance is white color. 5: UV inorganic green powder, long wave type, the emitting wave is 520nm, the particle size is 3-6um. The day appearance is little white color. 6: UV inorganic blue powder, long wave type, the emitting wave is 450nm, the particle size is 3-6um. The day appearance is white color. 7: UV inorganic yellow powder, long wave type, emitting wave is 545nm, the particle size is 5-8um. The day appearance is little yellow color. 8: UV inorganic yellow green powder, long wave type, emitting wave is 540nm, the particle size is 4-7um. The day appearance is greenish color. 9: UV inorganic brown powder, long wave type, emitting wave is 570nm, the particle size is 4-7um, the daytime appearance is a little white color. Invisible UV organic powder also called as organic UV long wave fluorescent powder, black light powder or UV security powder. These powders can emit various visible colors under black light lamp 365nm wave length. 1: UV organic red powder, long wave type, emitting wave is 615nm, the particle size is 2-5um. The smaller weight rate. 2: UV organic yellow green powder, long wave type, the emitting wave is 525nm, the particle size is 2-5um. The smaller weight rate. 3: UV organic green powder, long wave type, the emitting wave is 515nm, the particle size is 2-5um. The smaller weight rate. 4: UV organic blue powder, long wave type, the emitting wave is 460nm, the particle size is 2-5um. The smaller weight rate. 5: UV organic yellow powder, long wave type, the emitting wave is 545nm, the particle size is 2-5um. The smaller weight rate. Invisible UV inorganic powder also called as UV long wave of fluorescent powder, black light powder or UV security powder. 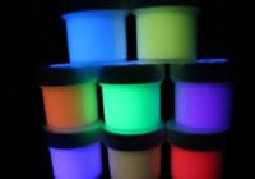 These powders can emit various visible colors under black light lamp 254nm wave length. 1: UV inorganic short wave red powder, the activating wave is 254nm, the particle size is 3-7um. The appearance is white color. 2: UV inorganic short wave yellow powder,the activating wave is 254nm, the particle size is 3-7um. The appearance is white color. 3: UV inorganic short wave green powder, the activating wave is 254nm, the particle size is 3-7um. The appearance is white color. 4: UV inorganic short wave blue powder, the activating wave is 254nm, the particle size is 3-7um. The appearance is white color. Invisible UV organic powder also called as organic UV long wave fluorescent powder, black light powder or UV security powder. 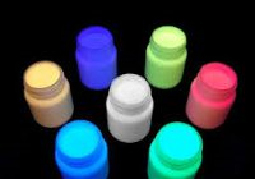 These powders can emit various visible colors under black light lamp 254nm wave length. 1: UV organic short wave red powder, the activating wave is 254nm, the particle size is 2-6um. The appearance is white color. 2: UV organic short wave yellow powder, the activating wave is 254nm, the particle size is 2-6um. The appearance is white color. 3: UV organic short wave green powder, the activating wave is 254nm, the particle size is 2-6um. The appearance is white color. 4: UV organic short wave orange powder, the activating wave is 254nm, the particle size is 2-6um. The appearance is white color. Infrared powder often also called infrared security powder, anti-stoke powder or infrared up-converting powder. 1: Infrared fluorescent red powder, the activating wave is 890nm to 1050nm, the particle size is 3-7um. The appearance is white color. 2: Infrared fluorescent blue powder, the activating wave is 890nm to 1050nm, the particle size is 3-7um. The appearance is white color. 3: Infrared fluorescent green powder, the activating wave is 890nm to 1050nm, the particle size is 3-7um. The appearance is white color. 4: Infrared fluorescent yellow powder, the activating wave is 890nm to 1050nm, the particle size is 3-7um. The appearance is white color. 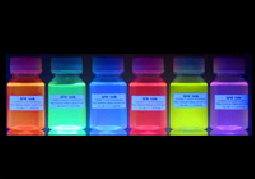 UV fluorescent dye includes water soluble fluorescent dye and oil soluble fluorescent dye. They are UV invisible dyes, which are thoroughly soluble in water or oil based solution. Applications include security printing ink and paint. 1: UV yellow green fluorescent dye, water soluble type, Long wave 365nm type. 2: UV yellow fluorescent dye, water soluble type, Long wave 365nm type. 3: UV blue fluorescent dye, water soluble type, Long wave 365nm type. 1: UV yellow green fluorescent dye, oil soluble type, Long wave 365nm type. 2: UV orange fluorescent dye, oil soluble type, Long wave 365nm type. 3: UV blue fluorescent dye, oil soluble type, Long wave 365nm type. Normally only need to put 0.2%-0.5% percentage of UV fluorescent dye into water solution or oil solution to get invisible security effect. UV Tracer concentrates include water and oil based solutions in liquid and dry forms. They are non-toxic Water Based types or solvent based types. Our UV tracers includes Invisible, Visible and Clear Tracers which is also used for leak detection (called UV leak detection tracer). These UV Tracer concentrates are used in water, petroleum, and synthetic mediums because of their extreme UV responsiveness and usefulness. We offer standard products, as well as assistance with creating new solutions to satisfy your needs. Uses: Product colorants, hidden or invisible colorants, color enhancers and shifters. Special Effects in any medium, such as polyurethane, epoxy, water, or any solvent. 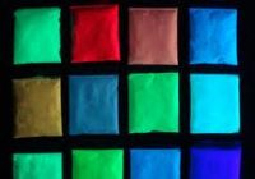 Mix in your paint or medium to change the luminous properties of your products. The UV trace concentrates have numerous uses from leak detection to anti-counterfeiting applications.. Please contact us for any questions or help in choosing the right UV tracer concentrates for your application. 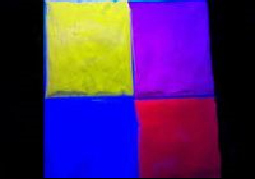 1: UV yellow tracer including liquid dye form and dry dye form. 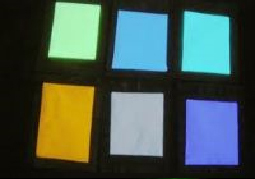 2: UV blue tracer including liquid dye form and dry dye form. Note: the UV tracer concentrates include water soluble type and oil soluble type. Also including dry dye and liquid concentrate. Security ink is also called as anti-counterfeiting security ink, which are UV black light pigment or infrared pigment with suspension in water-based or solvent based ink. Advantages: non-toxic, good adhesion, weather-resistance and outstanding UV fluorescence effect under black light lamp or infrared lamp. They can be used on the surface of such materials of banknote, paper, cloth, invoice etc. 1: UV red ink: the daytime white color and UV deep red color. 2: UV yellow ink : the daytime yellow color and UV yellow color. 3: UV blue paint: the daytime blue color and UV blue color. 4: UV green paint: the daytime blue color and UV blue color. The UV security ink includes water based and solvent based types. We also produce infrared up-conversion security ink including red, yellow, blue, green of four colors, which includes water based and solvent based types. Above security ink is high bright anti-counterfeiting ink, The UV or infrared effect is very high and also very bright under black light or infrared lamp. We can produce various packaging of security ink according to the requirement of customers. The UV inkjet ink is not only suitable for home inkjet printer but is suitable for big digital inkjet printers. Our smallest packaging is 100ml, the biggest packaging is one kilogram. We can also produce other packaging according to the requirements of customers. UV body paint is also called as invisible UV body paint, which are UV black light dye with fluorescent color suspension of a novel environmentally friendly water-based body paint. Advantages of non-toxicity, weather-resistance, outstanding UV fluorescence effect under black light, it can be used on UV art design, UV body pictures, Rave parties etc. 1: UV red paint: the daytime little red color and UV deep red color. 2: UV yellow paint: the daytime yellow color and UV yellow color. 3: UV green paint: the daytime little green color and UV green color. 4: UV blue paint: the daytime little blue color and UV blue color. Above UV body paint is high bright UV black light body paint, our UV effect is very high and also very bright under black light. Disclaimer: Body paint should not be applied to the face. Apply for short periods of time only, up to four hours. Test on a small area of the skin prior to larger application. If rash or redness of the skin develops, discontinue use. 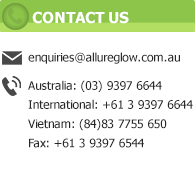 Allureglow assumes no responsibility in relation to application of the paint on the body. Water based photoluminescent safety paint is also called as glow in the dark paint, which is a novel environmentally friendly paint. with the advantages of non-toxicity, flame resistant, good adhesion, weather-resistance, outstanding luminous effect, it can be used on the surface of such materials as cement, metal, road, wood, and plastic etc. 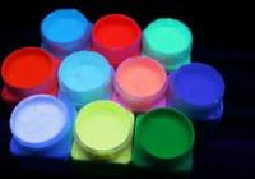 Glow safety paint is multi function of applications. 1: WBR (red paint): the daytime red colour and glow orange red, the daytime red paint, one litre paint is 3.2 pounds. 2: WBO (orange paint): the daytime orange color and glow orange, the daytime orange paint, one litre paint is 3.2 pounds. 3: WBG (green paint): the daytime green color and glow green, the daytime green paint, one litre paint is 3.2 pounds. 4: WBY (yellow paint): the daytime yellow color and glow yellow, the daytime yellow paint, one litre paint is 3.2 pounds. 5: WBB (blue paint): the daytime blue color and glow blue, the glow blue paint, one litre paint is 3.2 pounds. 6: WBA (aqua paint): the daytime aqua color and glow aqua, the glow aqua paint, one litre paint is 3.2 pounds. 7: WBP (purple paint): the daytime purple color and glow purple, the glow purple one litre paint is 3.2 pounds. 8: WBW (white paint): the daytime white color and glow white, the glow white one litre paint is 3.2 pounds. The paint is 3.20 pounds every liter. Our smallest packaging is 10 litres. Buyer label can be provided. 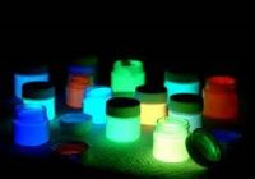 Above water based glow paint is super bright glow in the dark colorful water based paint, the glow paint can dry quickly about 12-20 hours at 25 C temperature, below 10 C the dry time is longer. Use these paints for almost any project. These paints are easily applied after 12 hours of dry time. Each time the item you have painted is exposed to light for 5 minutes the Glow time starts over. The water based glow safety paint is suitable for almost any surface as floor, wall, road, metal, plastic etc, to spray or brush a layer of our common water based paint onto the surface to be painted and dry, then spray or brush our glow paint onto the surface of clear coating.